If you love fluffy, sweet, fruit salads, you will love this Pistachio Salad. 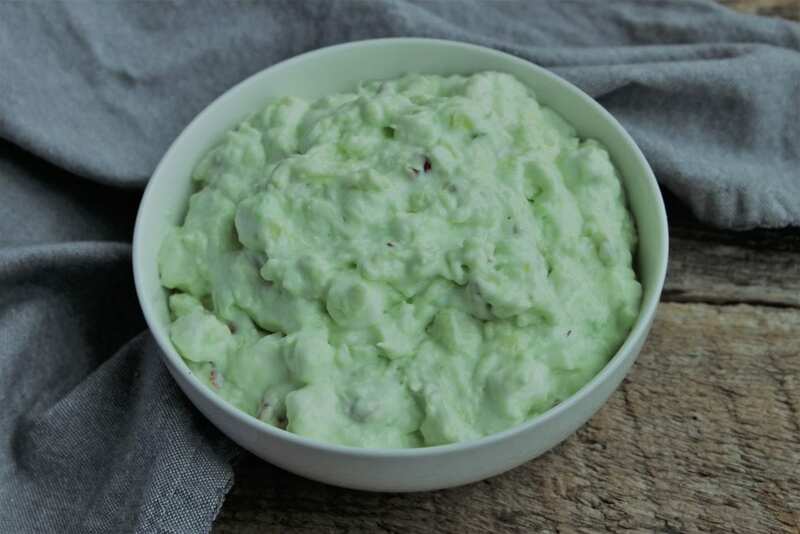 I originally had this in mind as a dessert for St. Patrick’s Day since it’s a beautiful green color, however, after I made it I thought of what a wonderful dish it would be for an Easter Dinner. It’s beautiful, airy, and so easy to make! 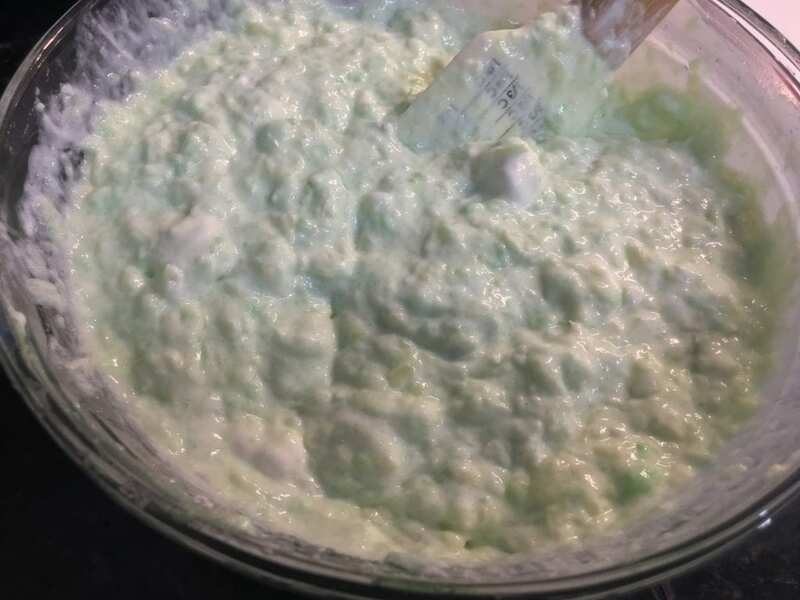 My Aunt used to make this every year for Christmas and she always called it “Green Stuff“. 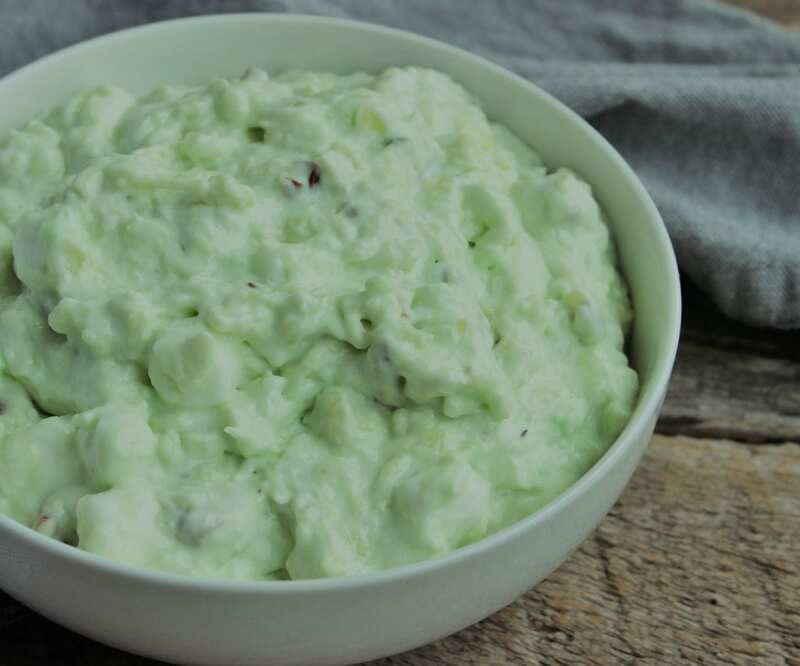 I later learned that the original name of this dish is Watergate Salad. 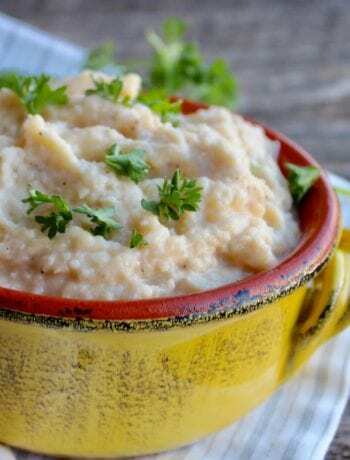 This is a vintage recipe that my family has made for years and if I knew where it originated from, I would give that person proper credit, unfortunately I do not know where my Granny and Aunt got this recipe or if it is one they created themselves. I like to call this creation Pistachio Salad because the name just seems to fit the best. This Pistachio Salad is one your kids will probably love as well and be able to help you make. 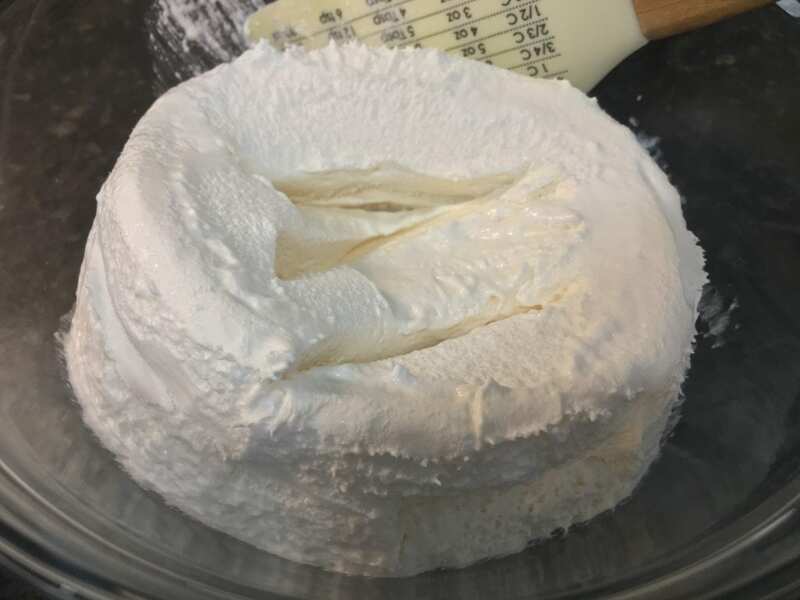 Start out with eight ounces (or one small container) of thawed Whipped Topping in a large mixing bowl. 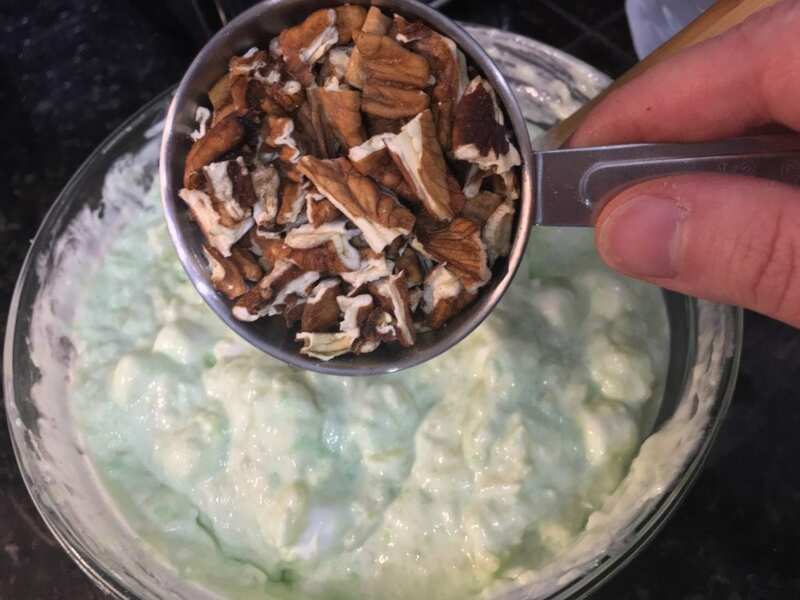 You can use Light Whipped Topping or regular – I’ve used both and they turn out equally good, today I used Light Whipped Topping to make this Pistachio Salad. 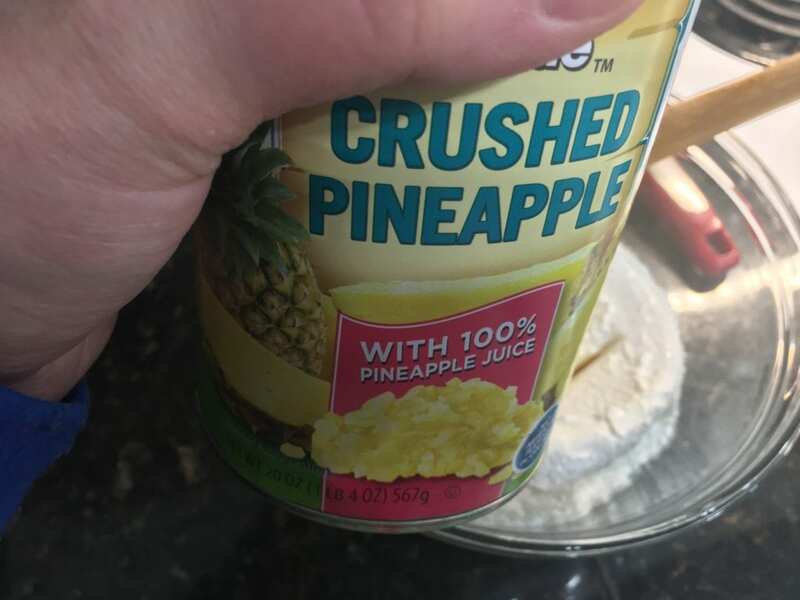 Now it’s time to break out the crushed pineapple! I guess this might be why some people call this Pistachio Salad, Pistachio Pineapple Salad. 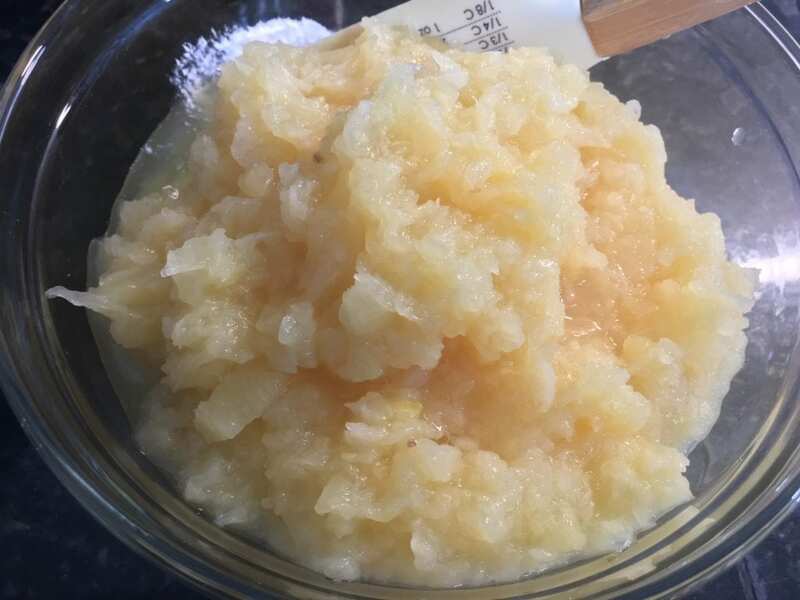 Add in one twenty ounce can of crushed pineapple – juice and all. This gives the Pistachio Salad such a good flavor! 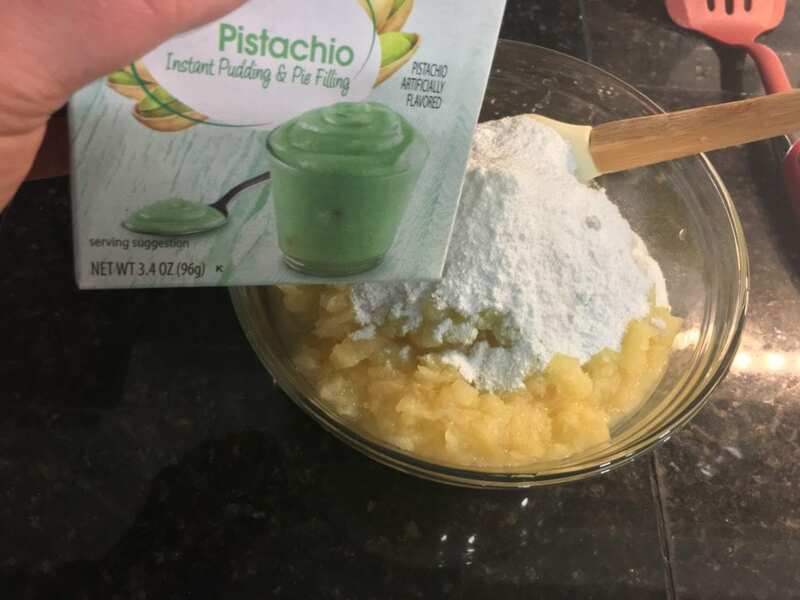 Now add in 3.4 ounces of Pistachio Instant Pudding & Pie Filling. 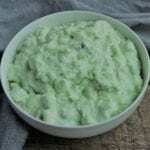 Stir the Pistachio Salad and break up any small chunks of the dry Pistachio pudding mix or any chunks of the Whipped Topping. 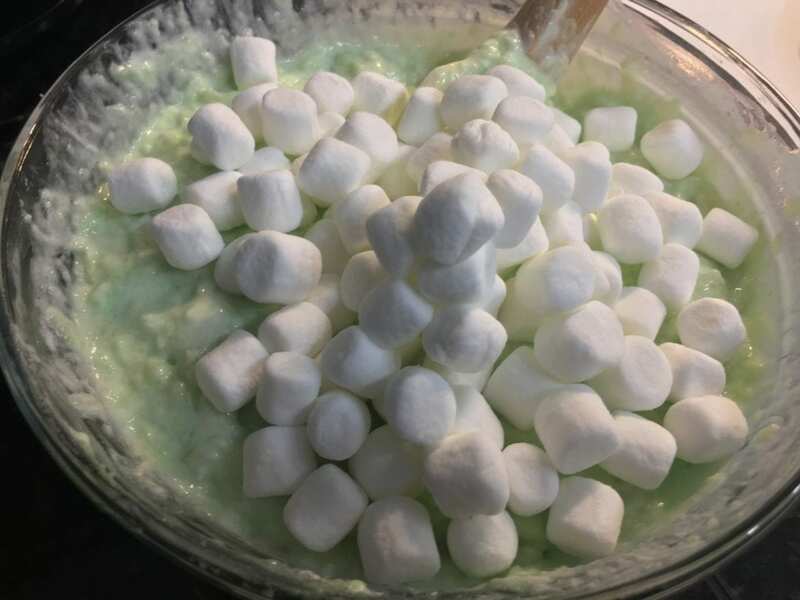 Add in one cup of small marshmallows to the Pistachio Salad. This just makes the Pistachio Salad even more light and fluffy. Stir the marshmallows until they are completely mixed in the rest of the Pistachio Salad. Now add in half of a cup of chopped pecans. You can use pistachio’s if you prefer but my family has always used pecans. Stir the pecans into the salad and chill for one hour in the fridge before serving. Once the salad is finished chilling, serve and enjoy! 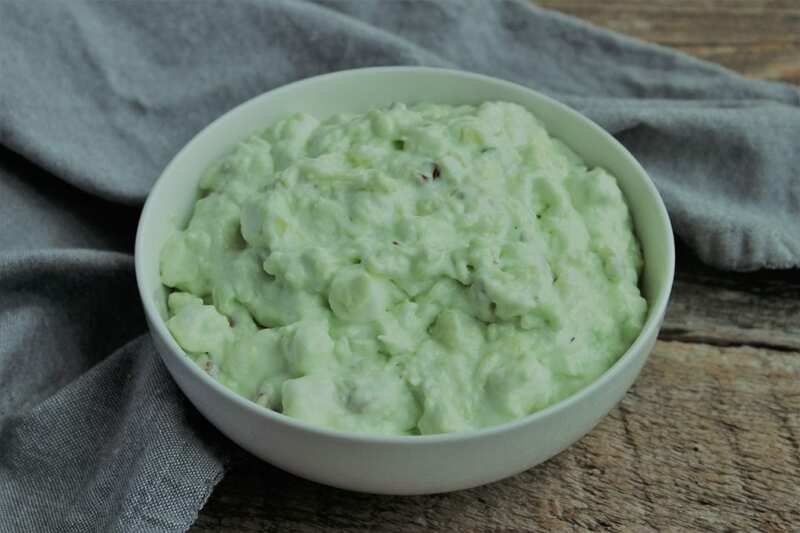 I hope you all have enjoyed stepping into my Speedy Spatula kitchen and making this Pistachio Salad (or as some call it, Watergate Salad) with me! 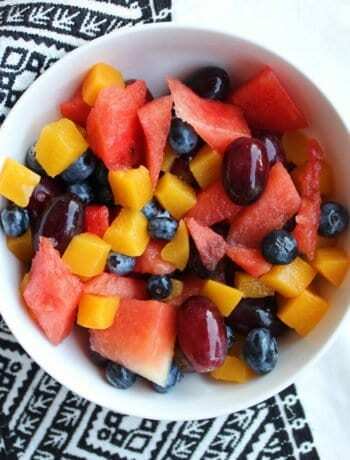 A light and airy fruit salad that is perfect for St. Patrick's Day or Easter dinner! 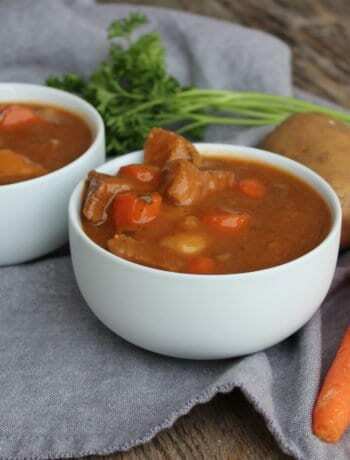 Cover and place in the fridge to chill for one hour before serving. Light Whipped Topping and Sugar Free Pistachio Instant Pudding can be used to make this Pistachio Salad lighter. I love this salad. 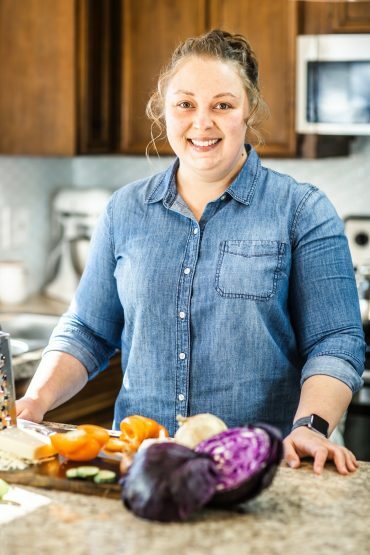 I used to make it for parties and cook-outs and my mom fell in love with it. So I always made extra for her so she could take a big bowl full of it home. Wikipedia has a very interesting article about the origins of this salad. I consider it dessert. Everyone should try it. It is delish! Thank you for stopping by and sharing that lovely memory! I too have many wonderful memories centered around this salad (we always ate it as dessert too!). My Aunt and sometimes my Granny made this salad every year for each big Holiday; Christmas, Thanksgiving, and Easter. My Aunt always called it “Green Stuff”. 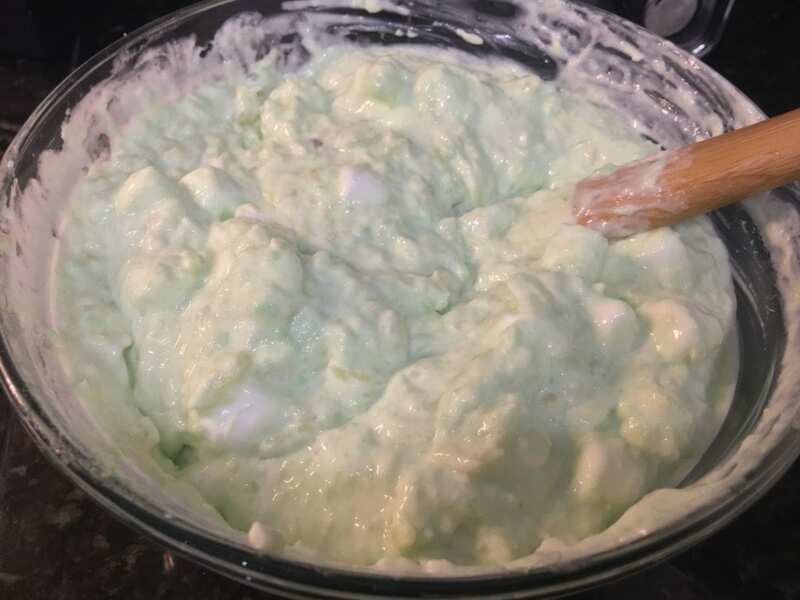 This used to be called WATERGATE SALAD. I made it for years. But, for some reason, I haven’t made it in a long time. It might be time to bring it back to the table. We love it for Thanksgiving and Christmas! 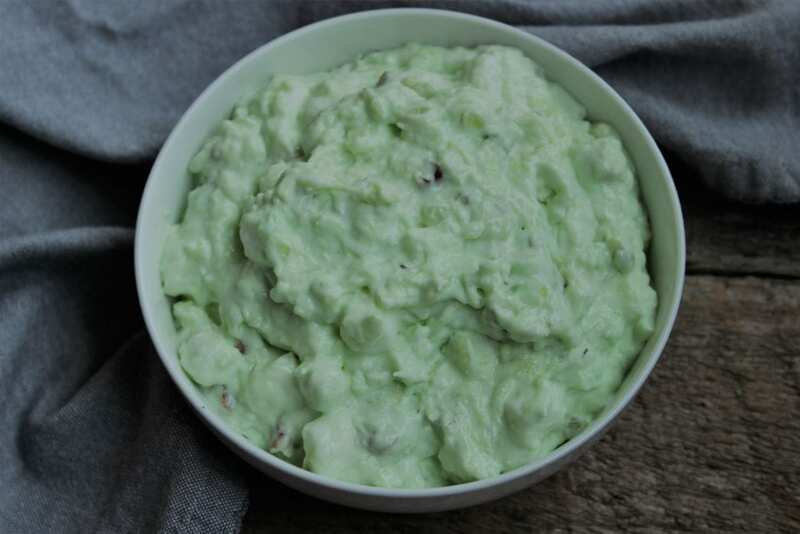 My Aunt always made it every year and called it “Green Stuff” and my Granny called it Watergate Salad. It’s delicious!